Help! I need a new furnace! Who should I call? 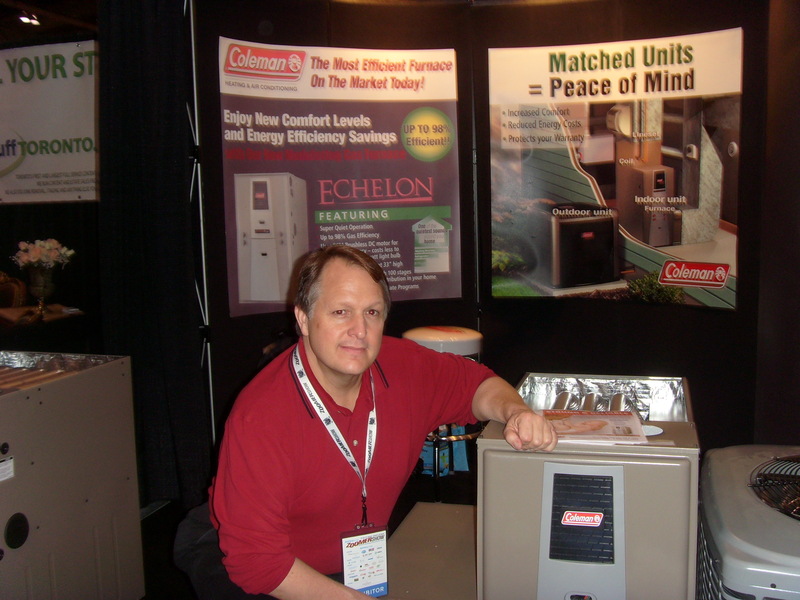 In March, I started discussing how to choose the best furnace installer. Unfortunately, I got sidetracked with so many other interesting topics that I was unable to expand on the this topic. Now I will tackle this issue. Since there are so many things to discuss regarding the replacement of your furnace or air conditioner, I created a new category in my blog called Buying a Furnace. Please visit this category to see all my comments on this topic. Due to the dangerous nature of Atmospheric boilers, the TSSA put several restrictions on the installation of such boilers. These restrictions are intended to reduce the risk of carbon monoxide poisoning from these boilers. 1. These boilers may only be located in a room that is completely sealed from the rest of the home. 2. These boiler rooms must have gasketed doors with automatic door closers to prevent any fumes from the boiler from getting into the living space. 3. These boilers may not be installed in a room that has a door directly into a bedroom or bathroom. 4. A dedicated and properly sized fresh air duct must be installed directly from the outdoors to the boiler room. 5. There must be CO detectors installed in or adjacent to every sleeping area in the home. I don’t know about you, but these restrictions give me the creeps so I would never install a dangerous boiler like that in my home. Please see a copy of the TSSA public safety order below. Please review the advisory below from the TSSA. Boilers-Part 2 – HELP!! I Need a New Boiler! I am so confused about what to buy! In Part 1, I outlined the different types of boilers available in the marketplace today. To review, there are 3 types. 2. Power vented boilers 80-85% efficient. 3. Condensing boilers. 90-98% efficient. Today I want to talk about Conventional atmospheric boilers. Anyone with a boiler 10 years or older probably has this type of boiler. It looks like the boiler in the picture below. This boiler has been the workhorse of the industry for many years. They are reliable, simple and relatively trouble-free. However, there are several problems with this style boiler. 1. They have been found to produce carbon monoxide, the silent killer, when they are not meticulously maintained. 2. For this reason, the TSSA mandated several conditions for the use of any existing boiler. 3. These boilers must be thoroughly tested and checked for CO each heating season. Please see the TSSA advisory below mandating the yearly testing. In my next blog entry, I will tell you about the dangers of carbon monoxide. At ClimateCare, we are your personal climate experts on all things air. This includes heating, air conditioning, indoor air quality and even Radon Testing. What do think of this ad? Direct Energy Enbridge Says I Need a New Liner for my water tank? I always get asked if the chimney liner needs to be replaced when the furnace is changed to a high-efficiency. Direct Energy tells their rental water heater customers that since the liner was intended to service a furnace and water heater, once the furnace is changed to high-efficiency, and does not vent through the chimney liner anymore, the liner is too big and must be replaced with a smaller one. This is simply NOT TRUE. In fact it is a LIE!! I will address this question from a safety perspective and a code requirement perspective. Safety – This slightly oversized liner is perfectly safe. As a matter of fact, every summer, when your furnace had not been operating, have you ever experienced a problem? Surely not! Your liner is clearly venting your water heater very safely and nicely. Code – The vent sizing charts in the gas code only specify the maximum capacity of a liner. There is no minimum capacity. The code does recommend using the smallest possible liner as a best practice. However, if an existing liner that is 6″ diameter or less has a furnace or heating boiler removed from it, the liner can be used exclusively for the water heater once the technician verifies that the water heater is venting properly. The TSSA, which is the governing body of fuel safety in Ontario, put out a specific advisory approving the reusing of an existing liner under these conditions. Please see the advisory below. Don’t let Direct Energy con you into buying a new liner. You are wasting your money. Please tell me what you think of it. We are your friendly neighbourhood contractors who care about you as our friends and neighbours? Do you own a Sub Zero refrigerator and/or freezer? I’m sure you know that they are the best on the market and are very expensive. With proper maintenance, these will last 20 years. All you have to do is keep the condenser coil clean. This must be cleaned at least twice a year. Here is a video on how to clean your coil safely. Enjoy!